Photo's,video's,biographies and articles detailing a few of the important people and places in the religion of Islam. Abu Muhammad Sidi ‘Abdul-Wahid ibn Ahmad ibn ‘Ali ibn ‘Ashir was one of the great Maliki scholars of Morocco. 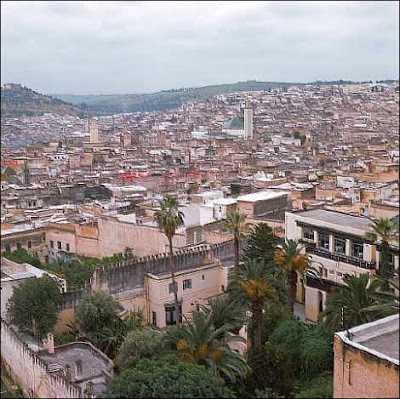 where Sidi Ibn ‘Ashir grew up and spent most of his life. He was known as one who excelled at the various Islamic disciplines. He was also an extremely righteous and ascetic person. He, like many scholars before him, provided for his self through his independent labor and exertion. He was well-known for always seeking out the most wholesome and purest of food (halal). And people knew him to be humble, modest, and of the most outstanding character. He would even sometimes attend the circles of scholars who were lesser than he in knowledge in order to take benefit. And he was constantly involved in teaching. When he spoke to and about people, he was very fair in whatever he had to say to others. Some of his greatest contributions are in the area of the variant Koranic readings (qira’at). He has super-commentaries on the works of major scholars of that discipline, like Imam Ja’buri. He also surpassed those of his time in the area of scriptwriting (rasm). And he has an amazing commentary on a work entitled ‘Maurid Al-Zham’an’ (Drinking-Pool of the Thirsty) that deals with the manner of writing the script of six of the seven major authors of the variant Koranic readings besides Imam Nafi’i  that consists of approximately 50 lines of poetry. He has also contributed much to the sciences of Grammar (nahw), word declension (sarf), exegesis (tafsir), law (fiqh), behavioral refinement (tasawwuf), logic (mantiq), eloquence (bayan), the poetic meters (‘arud), medicine (tibb), natural time determination (tawqit), arithmetic (hisab), inheritance law (faraa’id), and others. when he was 18. And he participated in a number of military campaigns. It was a common practice for him to take retreat in the mosque (‘itikaf) and stand up for the night prayer (tahajjud) very often. He memorized the Koran under Ustadh Abu Al-‘Abbas Ahmad ibn ‘Uthman Al-Lamti and others. And he learned the seven famous variant Koranic readings with Ustadh Abu Al-‘Abbas Al-Kafif, then from ‘Ali Abu ‘Abd Allah Muhammad Al-Sharif Al-Maryi Al-Talmasani and others. He also learned fiqh (law) and other things from Abu Al-‘Abbas ibn Al-Qadi, his cousin Abu Al-Qasim, Ibn Abu Al-Na’im Al-Ghassani, Abu Al-Hasan ‘Ali ibn ‘Imran, Abu ‘Abd Allah Al-Hawari, Shaykh Al-Qassar and others. And in the east he learned from Salim Al-Sanhuri, ‘Abd Allah Al-Ghazzi, and others. And he (Ibn ‘Ashir) learned the spiritual path of Tasawwuf from his shaykh, Sidi Muhammad Al-Tajibi, better known as Ibn ‘Aziz, who is buried in Al-Darb Al-Tawil. He also reported marvels from him that he used to relate to others. And it was by his hand that the expansiveness of knowledge and good works were made easy for him (futiha ‘alaihi). So once he completed his Hajj, he finished (writing) what relates to the Five Pillars. And in ‘Mu’in Al-Qari’ he mentioned that he brought out approximately 40 handwritten pamphlets. But him saying that didn’t make the hazzabun stop this practice nor did the people stop preparing banquets for them. That was conveyed about him in Badhl Al-Manāsaha (Offering Sincere Advice). 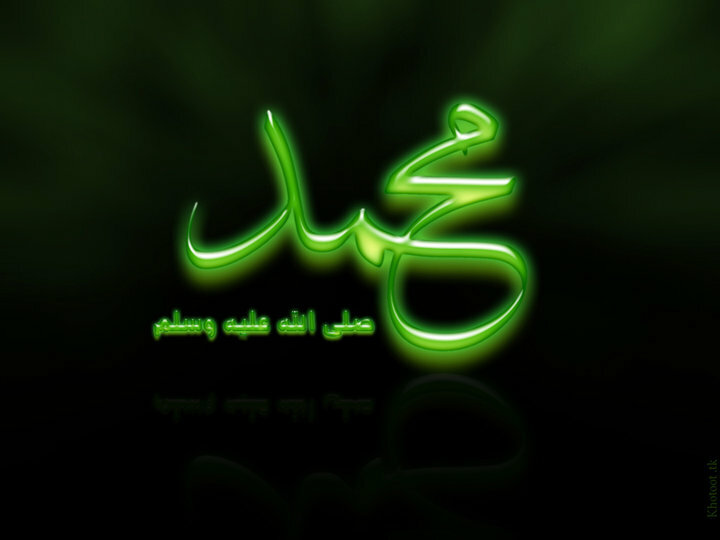 As for his death, he – may Allah show him mercy – was afflicted with an illness that the common folk called ‘Al-Nuqta’ (The Dot) on the early morn of Thursday, the third day of the Sacred month, Dhu al-Hijja, in the year 1040 AH. He died close to sunset on that day at the age of 50 – as is found in the handwriting of Sidi Al-Mahdi Al-Fasi. 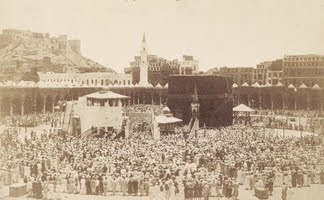 And he was buried the following day at the top of Matrah al-Janna near the prayer room (musalla). And a bow was built over it. His grave faces the direction of the Rawda of Sidi Yusuf. May Allah eternalize the benefit taken from him during life and after death. His student Mayyara mentioned for him a short biography in the beginning of his commentary on ‘Al-Murshid Al-Mu’in’ and at the beginning of his super-commentary on Al-Bukhari as did the authors of ‘Al-Safwa’, ‘Al-Nashr’, and ‘Iltiqat Al-Durar’ as well as others. Riz Khan - Rising anti-Muslim rhetoric?